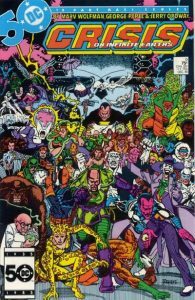 Matt is reading through the historic maxi-series, Crisis on Infinite Earths, for the first time. The original Crisis was released during 1985 and 1986, and was ultimately used to reboot the DC Universe. 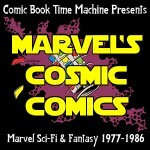 Issues #1-6 have been covered during other Event features of The Comic Book Time Machine, and Matt covered Issue #7 in Episode 89. Issue #8 was covered in Episode 110 of the Comic Book Time Machine!